Honestly, the only thing that may be worse than hauling dirty laundry to a Laundromat—where you will spend the better part of a day and all of your change shuffling clothes from basket to washer to dryer to basket—is hauling it home again. Many urban dwellings lack the space for washer and dryer units, and the new “tiny living” craze doesn’t bode well in this regard. Well, the Europeans faced this problem long before we did, and they’ve given us a clever solution: Meet the single-unit, European-style, 2-in-1 washer-dryer combo unit. The most obvious advantage is the washer-dryer combo’s diminutive size. 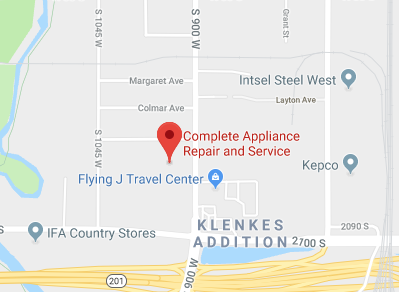 These units generally have the same footprint as dishwashers, and some Americans already have filled the space formerly occupied by a dishwasher with a front-loading combo laundry machine. They require no vents and simply plug into a standard, grounded power outlet. Typically, the combo machine uses the same water supply and discharge lines as the dishwasher. Because all the magic happens in one under-the-counter unit, there’s no need to lug wet clothes to the dryer, let alone down the block. Generally, combo units use much less power than traditional washers and dryers, depending on the models. Some advantages of these European-style laundry units may be considered disadvantages. They fit in a small space but have a diminished capacity—usually about two-thirds the capacity of a normal load. Because these are single units, you can’t dry one load while the other washes. 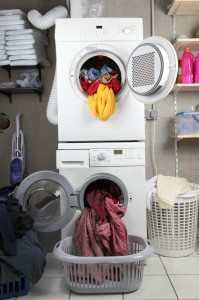 Each phase of the process doesn’t take any longer than a standard unit, but it may seem like it does when you’re waiting to wash several loads of clothes. These units tend to be pricey, but generally cost no more than washers and dryers sold separately. Is a 2-in-1 Front Load Washer-Dryer Right for You? When it comes right down to it, the answer depends on your priorities, available space and budget. If having in-house laundry capability is important to you—and if you have the space and budget—a European washer-dryer unit may be exactly what you need. If you have a dishwasher, it’s highly likely that a combo unit will fit in the space and use the existing lines successfully. Most combo units have advanced fabric care settings and even delay timers, allowing you to “set it and forget it,” or run the laundry during off-peak energy billing hours. Talk with your local appliance installation company today to assess if your living space will accommodate one of these little powerhouses. This entry was posted in Blog and tagged European-Style Washer and Dryer, washer and dryer combo on August 20, 2014 by admin.